Solar Done Differently is about smart energy and its integration into your home or business. Our mission is to deliver the latest in solar technologies and work with your electricity needs, design preferences, and budget to create the best solar installation for you. Located in Santa Barbara, CA we make a difference in how energy is produced. We serve Santa Barbara, Goleta, Montecito, Carpinteria, Ventura, Oxnard, San Luis Obispo, and many other surrounding areas of the California Central Coast. We design the solar panel system that maximizes your financial return. Solar is a long-term investment. You should be confident that you’re making the best choice out of every dollar invested in your system. Solar energy installations do not have to be unattractive. We work with the most innovative solar manufacturers and design customized solar systems that beautifully blend into your home’s exterior. Customer service is our top priority and has been the key to our success since we opened our doors in 2008. We are local and work with and for the community. We only work with top quality manufacturers and our engineers design our systems in house. 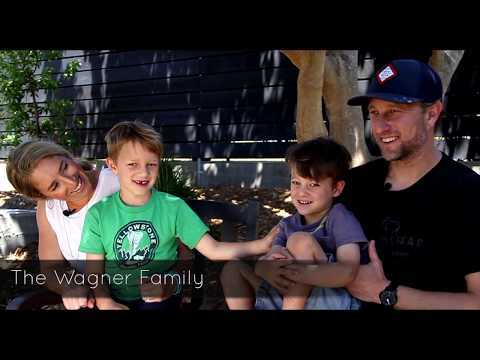 The Wagner Family goes solar! 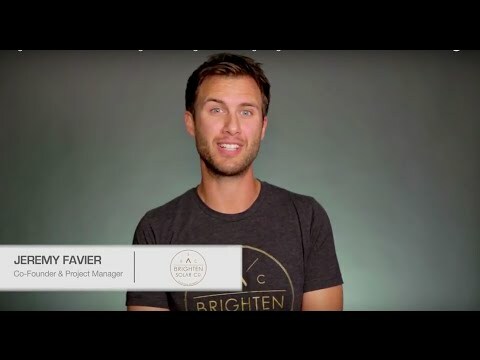 Customer Testimonials – Brighten Solar Co. 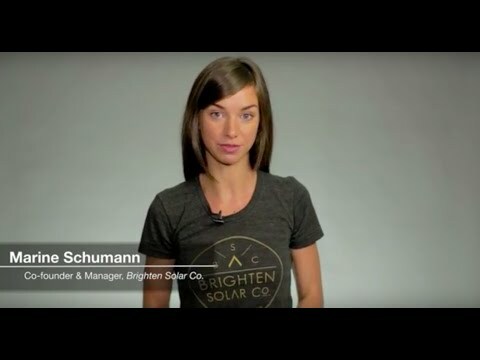 Solar Done Differently – Brighten Solar Co. 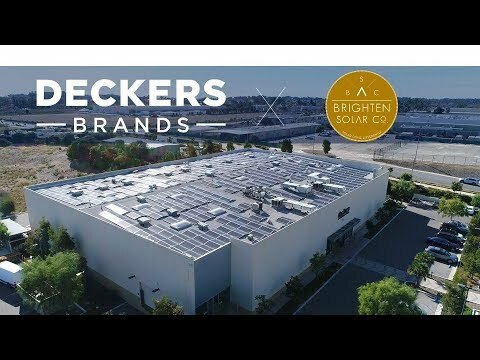 Launching a package LED lighting + Solar energy – Brighten Solar Co.
Deckers Goes Solar with Brighten Solar Co. Working with Brighten Solar was a great experience from beginning to end. They were personable but so professional. They provided extensive information comparing various kinds of installations. They took into account our desires about the aesthetics. When we were given competing prices they researched the needed information and found us the best possible price. The process for permits in Santa Barbara is tiresome and we were given updates so we knew where we stood in the process. The installation went smoothly and neatly. Our electric bills went from $150 to $0.46 so I see the installation paying for itself quickly. The day we noticed an issue Jeremy was at the house and solving it immediately. Can’t recommend them highly enough. We are in the middle of a significant remodel and always knew that we would go solar on our next house. As a former board member on the Community Environmental Council, I was very familiar with their well received Solarize Santa Barbara program several years ago. 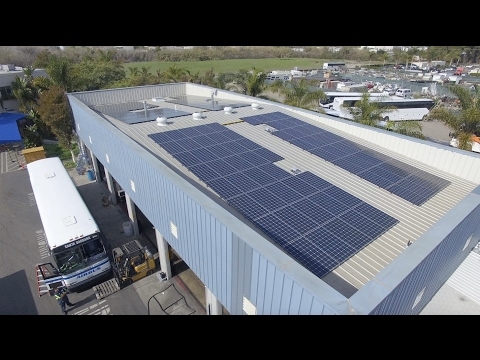 Now that it was our turn to make a difference, we hired Brighten Solar to install our 17 panels. Jeremy and Marine Favier have been fantastic to work with. Understanding solar and all of the rebates, systems, pay back times, etc. is not an easy under taking. Many consumers are overwhelmed with the process, but Jeremy and Marine have been very informative, helpful and professional. I can’t wait until we are far enough along in our project to install the solar panels (they go on last to make sure they don’t get damaged). Give Brighten Solar a call if you are considering solar too! I have had the pleasure getting to know Marine Schumann and Jeremy Favier at Brighten Solar Co. over the past few years. They have gone above and beyond explaining how Solar is a beneficial investment on single family residences, commercial rentals, and large scale businesses. They take the time to explain the up-front costs, the time horizon to return your capital, and how well the output of their aesthetic solar panels provide for your energy needs. I will continue to use Brighten Solar Co. for all of my rental properties and projects in the future and cannot thank them enough for their attention to detail and customization abilities. I work in the energy efficiency industry and I rarely provide 5 star reviews for any business. Brighten Solar is the exception. 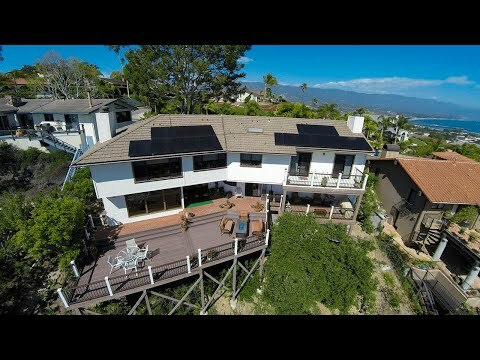 This professional and committed team planned and installed solar panels as part of our home renovation in Ventura, California. They were more than responsive to our initial requests for information, answered all of our questions, and anticipated others. Our system has been operating for 3 months and their follow up has been equally as professional. Their follow through is unusual. We chose them because they are not tied to any particular technology, because they answered our questions, and because it is clear they are dedicated to reducing our GHG emissions while saving money. Merci bien, Brighten Solar! Going solar seemed to me like a quite overwhelming process until I met Brighten Solar. I very soon realized how important customer service and customer satisfaction was for them. The team is extremely knowledgeable, they spent lost of time educating myself about the technology, the financial and environmental benefits of solar, …. What I found appealing with them is that they don’t represent any specific solar products so they are not trying to sell you specific products. Instead, they are able to work on a project basis and provide the options that work best for a specific project. They also have a strong focus on aesthetic, they have some very aesthetic solutions but what really pleased me was how meticulous the workmanship was. They really work on every aspect, trying to hide the conduits, recess the panels to really minimize the visual impact of the solar installation. I strongly recommend Brighten Solar to my friends and family, as well as to anyone looking for a local solar installations company. I am a Realtor and I met with Marine the Owner of Brighten Solar Co. some time ago. She was so helpful providing me with all the info I needed to understand solar technology and the difference between products. Now I feel comfortable and confident in sharing this info with my clients too. I’ve seen the quality of Brighten Solar and it is outstanding. I love the aesthetics of their product and the low profile. I highly recommend Brighten Solar because their products are top of the line as is their customer service! Brighten was the installer for the 2d installation I have made. They were far and away more professional and competent than the 1st. Brighten’s ability to deal with the requirements of the regulatory bodies was especially noteworthy and the permits were obtained smoothly. They were accessible and responded promptly to all my questions. Marine and Jeremy demonstrated professionalism and polish at each step. We appreciated the way they showed us alternatives from different suppliers, NOT “one size fits all.” They planned ahead so the designs were approved by the City and SCE before the equipment arrived. Installation was quick and clean. We researched all options before putting solar panels on our bungalow in Oak Park, so we were pretty confident when we selected Brighten Solar. Still, the level of care and service blew us away. Jeremy and Marine know their stuff; they are both personable and professional. And the installation was so easy, we hardly knew it happened. If it wasn’t for the fact that our electric bill fell into the basement, we wouldn’t know those panels were up there. Highly recommended. Marine and Jeremy are very professional and extremely knowledgeable regarding your solar options for your home. We had the opportunity to discuss all of our options and they were very clear on the process from start to finish. I was very impressed by their knowledge and customer service. I highly recommend using them for your solar needs! Working with Brighten Solar has been very informative. They know the latest solar news and innovations and they have a team that works with you to insure the best quality, installations, and aesthetically pleasing solutions for your property. I highly recommend Brighten Solar! Marine and Jeremy are so passionate about what they do in wanting to make the planet a better place by harnessing the sun’s natural energy. Their products are beautiful and they really take the time to explain the cost savings long term. I have and will recommend Brighten Solar to everyone I know. You are not going to find a more passionate company in the solar industry! They have committed themselves to beautifying the world one aesthetic solar installation at a time, working holistically and economically with their customers I have 100% confidence in their business. What a great addition to the local solar offer. For once, Solar is taken to a level, where it’s not just the odd black panels. This young, enthousiastic and well educated couple knows what they are doing. Excellent ideas, sharp calculations and beautiful installation. Highly recommended. I cannot praise this company enough.the quality of their work is exceptional. The staff is courteous. They are punctual.i heartily recommend Brighten Solar. These guys are amazing. Great service, excellent products, and very affordable. I already have solar, but am considering adding more panels to handle charging an electric car. I learned a ton sitting down with Marine and Jeremy (thought I knew a lot as an existing solar customer). I highly recommend getting a quote- it is great for your pocketbook and just as good for the environment. The staff is excellent, friendly and very professional. They handle a complicated project on time and for a fair price ! Great addition to the local solar scene ! aesthetic approach to the installation to enhance rather than downgrade the value of your property. Well done design and appraisal, good prices, quality work and on time delivery. Extremely pleasant staff. A joy to have them work for your house! Great people,great company.They will go out of their way to make sure you are happy with their work. Very high quality workmanship. Enter your email and we will send you a little quiz to find out!